The actor in MBC drama The King 2 Hearts Jo Jung Suk is currently losing weight of 8kg, wholeheartedly participates in the filming of drama. 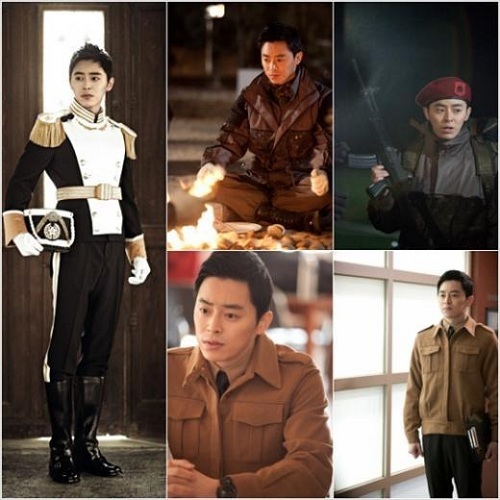 Jo Jung Suk is playing the role of elite captain of army, Eun Si Kyung, who sticks to the old concept and goes by the book. To show the intrepid office image which is serious and slightly old-fashioned, Jo Jung Suk put in efforts to lose weight, successfully reduced 8 kg. Currently he is also accepting a variety of weight training, the diet is also under control, so that the body is more healthy and strong to adapt to the role. Jo Jung Suk is a famous actor in the musical community. He who stepped over to TV series for the first time through What’s Up is still considered as a newcomer. In What’s Up, he played the role of director Kim Byeong Geon. Jo Jung Suk also starred in Archictecture 101, playing the role as the friend of Lee Je Hoon. The performance who has accumulated rich experience in other works in home theater is highly anticipating. In The King 2 Hearts, the role he played is completely opposite character to prince Lee Seung Gi.